A Q&A with Earnest co-founder and CEO Louis Beryl. The San Francisco-based personal loan startup announced the closing of a $15 million venture funding round in late May. It was founded in 2013 by Beryl and Benjamin Hutchinson, and this was the company’s first round of outside funding. SUB: Please describe Earnest and your primary innovation. 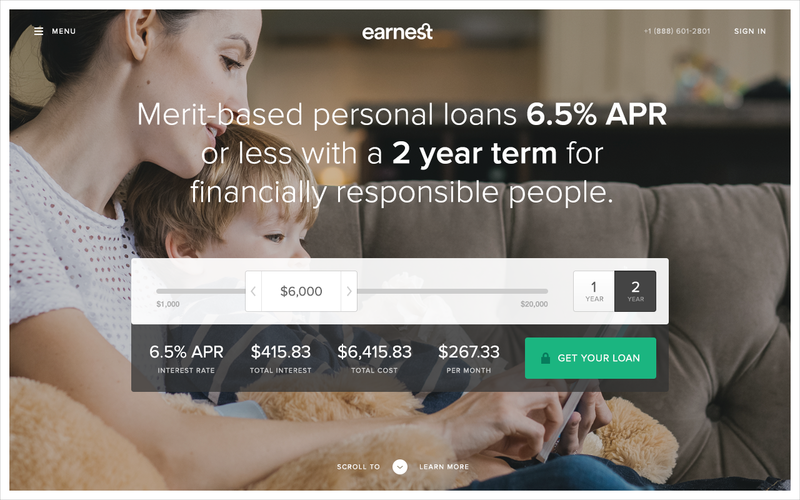 Beryl: Earnest provides merit-based loans to recent graduates and young professionals at extremely low interest rates of either 6.5 percent for a two-year loan, or 5.5 percent for a one-year loan. The U.S. credit system is broken, and many financially-responsible young professionals are being overcharged today for credit and some are being denied sufficient access altogether. Worse yet is that the U.S. credit system buckets everyone into too large a group, which overcharges low-risk people by having them subsidize others who are higher-risk. At Earnest, we look deeper into every individual and give every applicant the opportunity to share more with us to show us that they are in fact financially responsible and low-risk. We do merit-based lending, which means that we look far beyond a person’s credit score. We use data and technology to evaluate not just their history, but also their current situation and future potential. If you live your life in a financially responsible way, there is no reason that you should not have great access to credit and at very cheap rates. Beryl: We believe that the majority of people are in fact financially responsible, and that those that are should have better access to credit, at earlier ages, and at cheaper prices. Today, one of the primary groups that are incorrectly assessed by the broken U.S. credit system is young professionals—i.e., early in their career and/or just graduating from school with jobs—because they have not had time to build the significant credit history that the antiquated credit scoring system requires. Moreover, we believe our product is the best value on the market and extends far beyond to anyone who is financially responsible no matter what age or at what stage in life—all people deserve something better. Earnest is what financially-responsible people have earned. SUB: Who do you consider to be your competition, and what differentiates Earnest from the competition? Beryl: Earnest competes with banks, credit unions, credit cards and other online lenders. We offer lower interest rates to a wider range of people than anyone and are the only lender doing merit-based lending. SUB: You just announced that you’ve raised $15 million in initial funding. Why was this a particularly good time to raise funding? Beryl: This was a good and important time for us to raise funding as we are expanding our offerings to additional states—currently available in California, Utah, Pennsylvania, New York, Massachusetts, Florida, Connecticut, and Texas—and needed to prepare to serve our new clients. Beryl: We’re still a young company and will inevitably need more funding at some point. For now, we’re utilizing the funds we have to build the fantastic team of talented people at Earnest and offer our product to as wide an audience as possible. SUB: What was the inspiration behind the idea for Earnest? Was there an ‘aha’ moment, or was the idea more gradual in developing? Beryl: Even when I went to business school, with years of work experience, good savings, and paying my bills on time, I was still being denied credit. I just couldn’t make sense of a number determining my financial worthiness. Recently, my sister couldn’t get a credit card for the exact same reason, and she is a straight-A graduating grad student at one of the best universities in the world. It became crystal clear to me that no one is well-served by the current financial system, and I needed to do something to change that. Beryl: As part of testing our idea we started talking to as many people with the required expertise that we could find. The majority of people we spoke with wanted to join the team—that’s when we knew we were really on to something big. Beryl: It’s fairly simple. ‘Earnest’ is what financially-responsible people have earned. We want to provide merit-based, honest, transparent, and fairly-priced lending services which are always in our clients’ best interests, not some investor or large financial institution. The definition of ‘earnest’ connotes honesty, transparency, humbleness and fairness. This completely aligns with our values and the character of our employees. It also means a “sign or promise of things to come.” At Earnest, we look at a person’s future potential, not just to the past, to base our lending decisions. ‘Earnest’ is also a name which gives it a very personal feeling, and we are a personal company, not a faceless financial institution. Beryl: We are very fortunate to have a vision story and value proposition that resonates with a huge number of amazing applicants, and we are working hard to serve all of them faster and more effectively. This means offering our product more broadly in more states that we don’t serve today, expanding our offering, which we have done once already—offering two-year loans up to $20,000, and getting back to all our applicants as fast as possible. We own every step of the client experience from end-to-end—we never sell off a client’s loan. We are completely aligned with the long-term success of our clients—it is just another thing that truly sets Earnest apart from competitors, and we’re very focused on getting this right. Beryl: We generate revenue from the small margin between the interest we collect and the interest we pay. Given our low interest rates, we’re getting a small amount for each loan, and we use software and data to minimize our costs—savings which we pass on to our clients. However, we also use our process to get to know our customers much better than other lenders, and that knowledge fosters trust. It is because of those trusted relationships that we experience lower defaults than others. 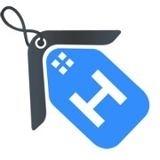 SUB: What are your goals for Earnest over the next year or so? Beryl: We are looking to offer our products in as many states as possible and as quickly as possible, while making sure our clients are completely satisfied. One of the reasons I founded Earnest was that I believe the purpose of a bank is to help its customers realize their hopes and dreams. This philosophy is at the heart of everything Earnest does, and we hope to be able to one day serve millions of customers.